Our long time supporter John Worcester [Jonh E. Fyv] along with Everything Kitchens have teamed up to raffle this awesome Kitchen Aid mixer for our cause. 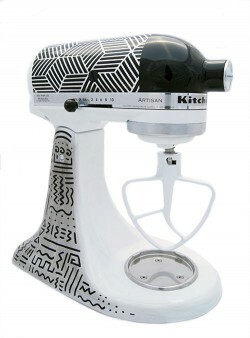 One lucky $5 ticket will win this custom hand painted mixer. Raffle tickets can be purchased here. The winning ticket will be drawn Aug 15th during Everything Kitchens 13th Anniversary Celebration.